TenguLife: The curious guide to Japan: So run. Run uphill. Just run. Run uphill. Don't worry about the others. Save yourself first. 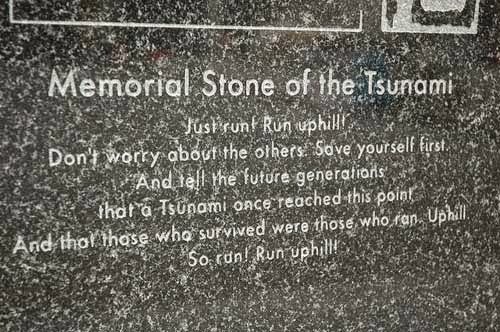 And tell the future generations that a tsunami once reached this point. And that those who survived were those who ran. Uphill.